Happy Friday everyone! I have had such an exciting last few weeks! 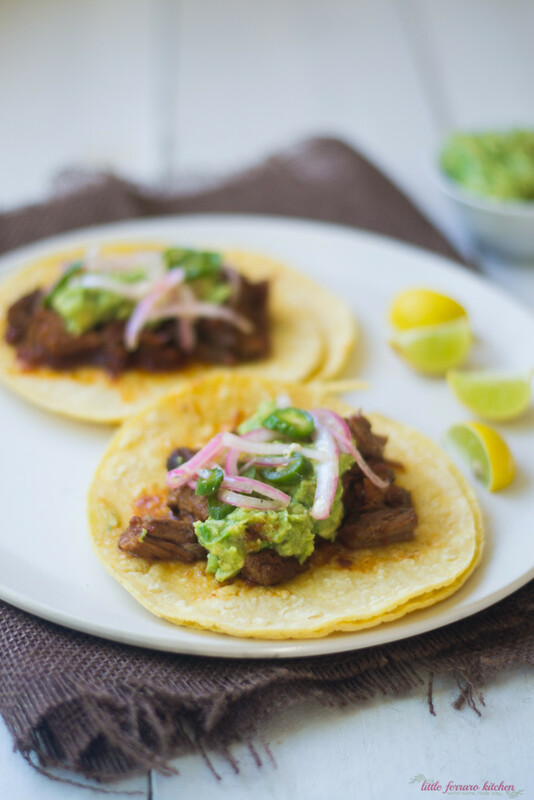 #1 I made a BIG batch of brisket, which will get any Jewish girl excited..and used that as an excuse to make a few “Jew-Can” recipes just in time for Cinco de Mayo (one for today and the other for next week..oh ya!) And #2…well if you live in Southern Cali and happen to listen to AM640 at about 2:30pm last Saturday, you may have heard a familiar name….my name!! Last weekend I was on one of my FAVORITE food radio shows called The Fork Report. 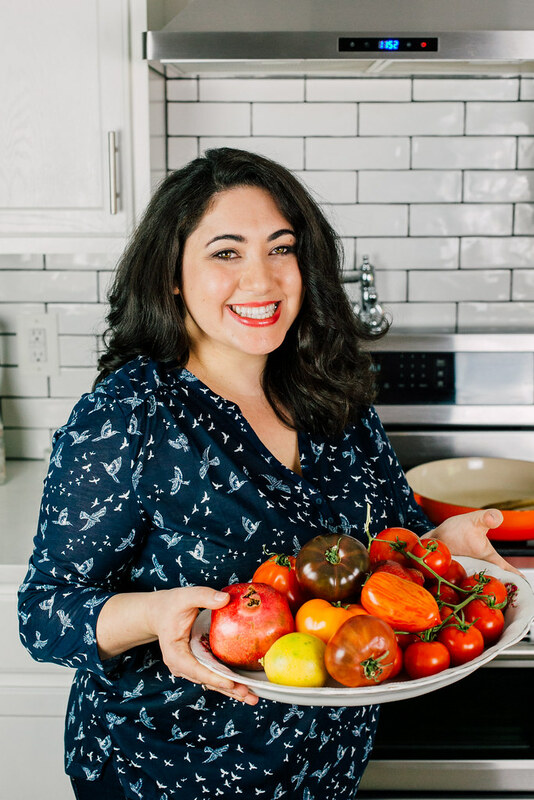 I’ve been thinking about writing a blog post of my favorite food podcasts, because that’s all I seem to listen to while I’m in the kitchen (that and Run DMC or Bob Marley, depending on my mood). And The Fork Report is always the first podcast I listen to. The host, Neil Saavedra (who has an awesome Instagram) is absolutely hilarious! A slightly sarcastic, knowledgeable food-loving guy, he talks about local events, food history and tips and always starts with a perfect passive food-pun joke. I just love it. In the wee corner of the last pic, you can see the box of confections I brought. I couldn’t go to my favorite food show without bringing something, right? So to blend a bit of my cultural background, I brought my favorite sweet classic rugelach, my most recent savory herb and cheese rugelach and to bring a little Hawaiian (or what I said on the show, “Shaloha”), my absolutely delectable passion fruit bars! Now let’s get back to why we’re really here, shall we? You saw brisket tacos in the title and got as excited as as a dog seeing bacon (or something like that?) 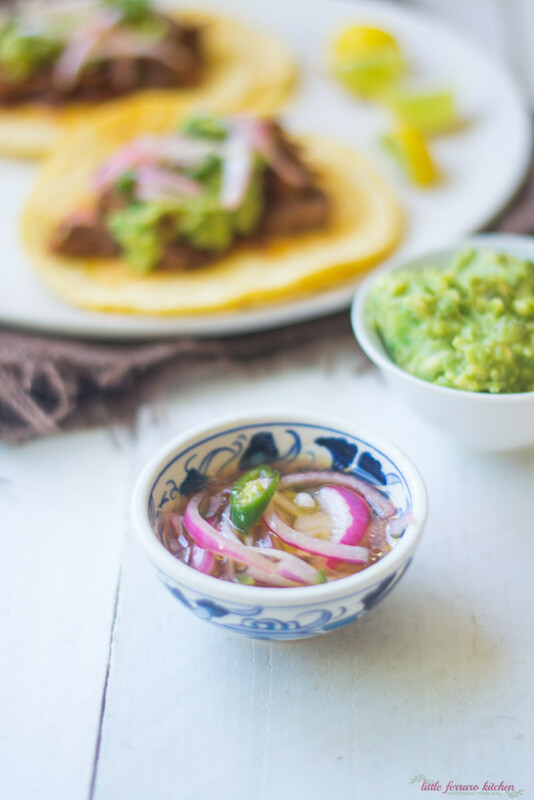 Truth be told, the real winner in these brisket tacos are the quick pickled onions and jalapenos! The brisket is a no-brainer. I just used the leftover slow cooker brisket I made a few weeks ago, which is a perfect excuse to clean off that lazy Susan and topped with extra pickled jalapenos, because I LOVE all things spicy. And to help cool down that pickled hot pepper kick, I dolloped some avocado tahini sauce over the top But instead of blending it up super smooth as I did previously, I left it a bit chunky to keep that “guacamole” feel. I have to admit, I have been having a blast making ‘hybrid” food. Combining cultures, recipes and flavors. If you asked me to do this 2 years ago, I would have shaken my head in disbelieve since I thought food should be kept true to it’s origin. But that is certainly not the case in this modern day. Plus it’s just way more tasty. For the slow cooker brisket, you can find the recipe HERE. 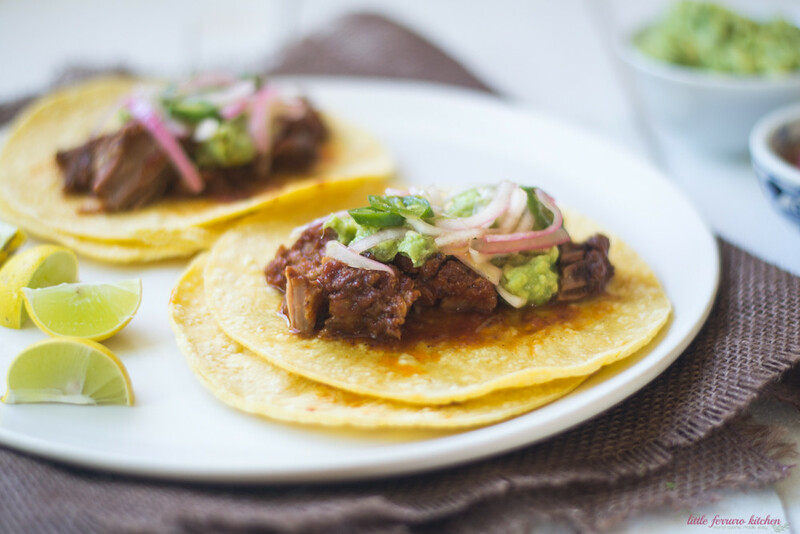 For the avocado tahini sauce, blend all ingredients together in a food processor or mash by hand, leaving enough texture to dollop on top of tacos. May need more or less water depending on desired consistency. Taste for seasoning. To make quick pickled onions, add all ingredients to a mason jar seal well. Shake jar a bit to mix everything together. Then place in refrigerator for at least 30 minutes before eating. 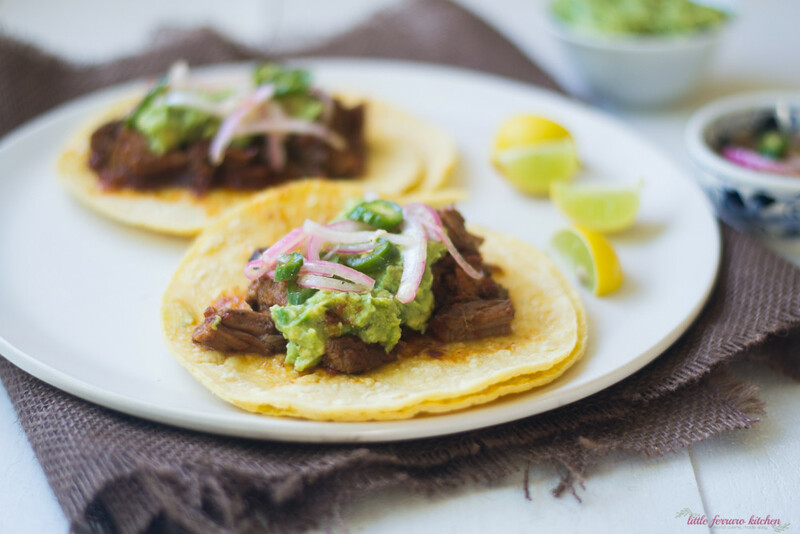 To assemble tacos, add brisket to corn tortillas and top with pickled onions and jalapenos and a dollop of avocado tahini. Serve with lime wedges.